In this podcast, Prof. Charles Tripp discusses how humor and mockery are considered ways of resilience against power through the use of cartoons, songs, images, or any form of art to reveal the lies, hypocrisy of those in power. Prof. Tripp is Professor Emeritus of Politics with reference to the Middle East and North Africa at the School of Oriental and African Studies, University of London, and is a Fellow of the British Academy. His PhD was from SOAS and examined Egyptian politics in the latter years of monarchy. At SOAS he has been head of the Centre for Middle Eastern Studies and is one of the co-founders of the Centre for Comparative Political Thought. His research has mainly focused on political developments in the Middle East and includes the nature of autocracy, war and the state, as well as Islamic political thought, the politics of resistance and the relationship between art and power. He is currently working on a study of the emergence of the public and the rethinking of republican ideals in North Africa. This episode is part of the Contemporary Thought series and was recorded on February 14th, 2019 at the Centre d'Études Maghrébines à Tunis (CEMAT). 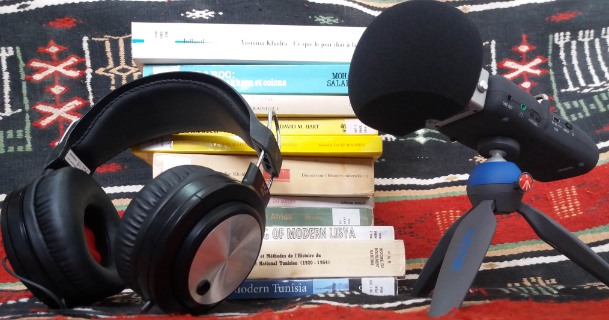 We thank Mr. Souheib Zallazi, (student at CFT, Tunisia) and Mr. Malek Saadani (student at ULT, Tunisia), for their interpretation of el Ardh Ardhi of Sabri Mesbah, performed for the introduction and conclusion of this podcast. Souheib on melodica and Malek on guitar. Posted by Hayet Lansari, Librarian, Outreach Coordinator, Content Curator (CEMA).